When the Supreme Court of Illinois rendered its decision in Reliable Fire Equipment Co. v. Arredondo, I really didn't think much had changed. Though I suspected courts would be less susceptible to motions to dismiss, Reliable Fire really did not set forth any hard-and-fast rules - even if it did broaden the types of interest a company can protect through a non-compete agreement. In essence, I thought employers might have a slightly easier time enforcing contracts than in the past. Less than a year later, courts continue to struggle with Reliable Fire in application. 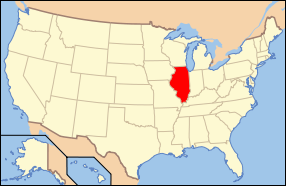 The problem continues to be that each judge views non-competes differently, and that very few generalist judges are in the position of reading the 150 or so Illinois decisions to try and reconcile cases all over the map. Further, there are very few areas of commercial litigation that call upon courts to make policy judgments and to resolve tensions with significant public interests at stake. But non-compete litigation poses a number of challenges for litigants, attorneys, and judges. For instance, it's widely assumed - rightfully so - that only the most extreme non-competes will be tossed before discovery. This is what Judge Holderman held a week or so ago in Instant Technology, LLC v. DeFazio, 2012 U.S. Dist. LEXIS 90911 (N.D. Ill. June 26, 2011). That case involved a three-year non-solicitation covenant in the IT staffing business - one of my top three markets for non-compete litigation (insurance agents and medical device sales run a solid one and two). Citing Reliable Fire, Judge Holderman noted that the three-part reasonableness test requires a court to balance the totality of the circumstances to determine whether a covenant is enforceable. But the Appellate Court of Illinois looked at the issue differently in Kairies v. All Line, Inc., 2012 IL App (2d) 111027-U, when it affirmed a circuit court's order granting judgment on the pleadings in a non-compete case. That dispute involved a declaratory judgment claim brought by an employee who was bound to a two-year non-solicitation/non-compete covenant. The court found that the non-solicitation covenant was unenforceable on its face because it extended to all of the company's customers - not just those the employee contacted or developed. The non-compete proved an easier analysis, because it was an outright prohibition on competition anywhere (though, for some reason, the court never notes the absence of a geographic term). The really screwy part of this is that the Kairies court held Reliable Fire was of limited impact, since the "principles governing the determination" of the non-solicitation covenant's reasonableness were "well settled and predate Reliable Fire." Essentially, Kairies seems to suggest Reliable Fire only deals with determining the existence of a legitimate business interest, and that prior cases concerning reasonableness were undisturbed. But this can't be right. If Reliable Fire requires consideration of the totality of the circumstances, and indeed says that the "identical contract and restraint may be reasonable and valid under one set of circumstances...and invalid under another set" then a court must look at the protectable interest and the covenant's language together, with the unique facts of each case. As an example, a customer non-solicitation covenant may not have the necessary tie in to the employee, which the agreement in Kairies did not. But what if the facts show that the company was small and that all employees had access to, or worked on, all customers' accounts? Or what if the employee was a manager, such that he had indirect contact with (but extensive knowledge of) a wide range of customers? This is not to say that some agreements are so patently overbroad that a pre-discovery motion is never a useful tool to dispose of a case. But there is no way that the Supreme Court intended for Reliable Fire to be interpreted so narrowly. It's hard to say whether Kairies will be revisited on a motion to reconsider. It has a shaky foundation. At this point, it's non-precedential (why, I don't know...) under Rule 23. For lawyers, the case is a continuing reminder that they must be careful advising clients on enforceability. Courts just continue to miss significant legal issues. A final word. I am not defending the contract provisions in Kairies. They weren't the greatest, and perhaps the employer deserved its fate. The policy rationale, and the potential impact, for future cases, though, is of real concern.